Wise, Wyndham. "Gil Cardinal". The Canadian Encyclopedia, 27 March 2017, Historica Canada. https://www.thecanadianencyclopedia.ca/en/article/gil-cardinal. Accessed 23 April 2019. Gil Cardinal, filmmaker (born 1950 in Edmonton, AB; died 21 November 2015 in Edmonton). Gil Cardinal, filmmaker (born 1950 in Edmonton, AB; died 21 November 2015 in Edmonton). At the age of two, Gil Cardinal was placed in a foster home; he remained with his adopted family until he was 21 years old. At the suggestion of a social worker, he became a student at the Northern Alberta Institute of Technology, enrolling in its radio and TV arts program. 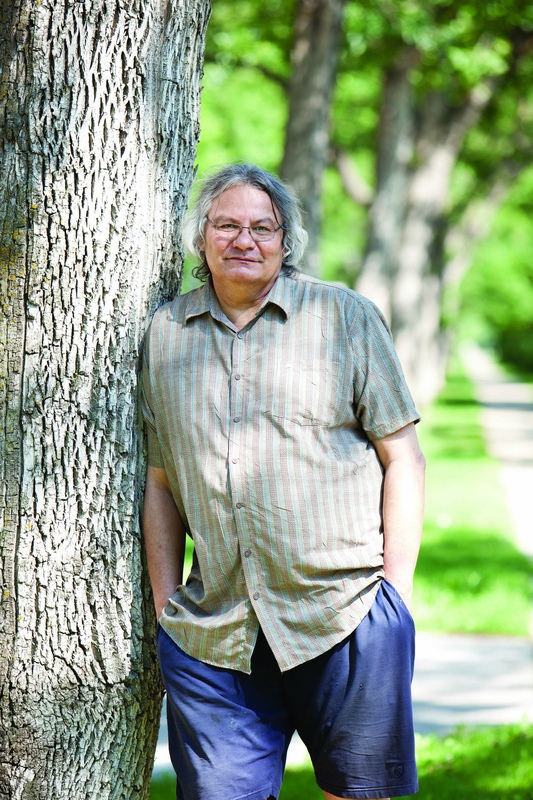 After graduating in 1971, he worked as a studio cameraman at the Alberta Education Communications Corp (Access), where he shot his first film, a documentary about the pianist Mark Jablonski. In 1975 he was promoted to director and associate producer of Come Alive, an hour-long magazine-format show. Another project he directed for Access was Shadow Puppets: Indian Myths and Legends, a series of programs based on Cree and Blackfoot legends. Gil Cardinal became a senior producer before leaving Access in 1980 to become active with the National Film Board of Canada (NFB) as a freelance director, researcher, writer and editor. His first film for the board was Children of Alcohol (1983), a documentary about a group of teenagers and pre-teens focusing on the effects of parental alcoholism. He shot a series of short documentaries and dramas, notably Hotwalker (1985), about racetrack grooms and trainers, before embarking on the very personal Foster Child (1987), a cinéma-vérité documentary about his search for his family roots. His simple, straightforward approach led him to discover the identity of his Métis mother, who ended her tragic life in a series of boarding houses on Edmonton's skid row. The film was a success on the festival circuit and broadcast on CBC's "Man Alive" series. Gil Cardinal was awarded the Gemini for best direction for a documentary program in 1988, and Foster Child remains one of the most internationally acclaimed films by an Aboriginal filmmaker working in Canada today. In 1987 Cardinal made Keyanaw Tatuskhatamak, about the struggle for self-government among the remote people of Northern Alberta, and in 1988 he directed Bordertown Café, a half-hour drama for the CBC. Other NFB credits include The Spirit Within (1990), on native cultural/spiritual programs in prisons, and David with F.A.S. (1997), an exploration of fetal alcohol syndrome. In 1998 he directed the big-budget CBC miniseries Big Bear starring Gordon Tootoosis and Tantoo Cardinal (for which Gil Cardinal was nominated for a second Gemini), and in 2006 the CBC drama Indian Summer: The Oka Crisis, about the 1990 standoff between the federal government and the Mohawks of the Kanesatake Reserve. Cardinal has also directed numerous episodes of North of 60, The Rez, and the feature-length NFB documentary Totem: The Return of the G'psgolox Pole was screened at the 2003 Toronto International Film Festival. In 1997, Cardinal was recognized with a National Aboriginal Achievement Award for Film and Television.